Thinner, stronger and longer lasting. The unique skateboard construction with awesome characteristics and enhanced performance. Hemp fiber and plant based high performance resin construction of the Rolkaz decks is extremely resistant to breaking, and gives decks long lasting pop, great rebound and snap. Our hemp skateboards are a complete change and innovation in the way skateboards are made. 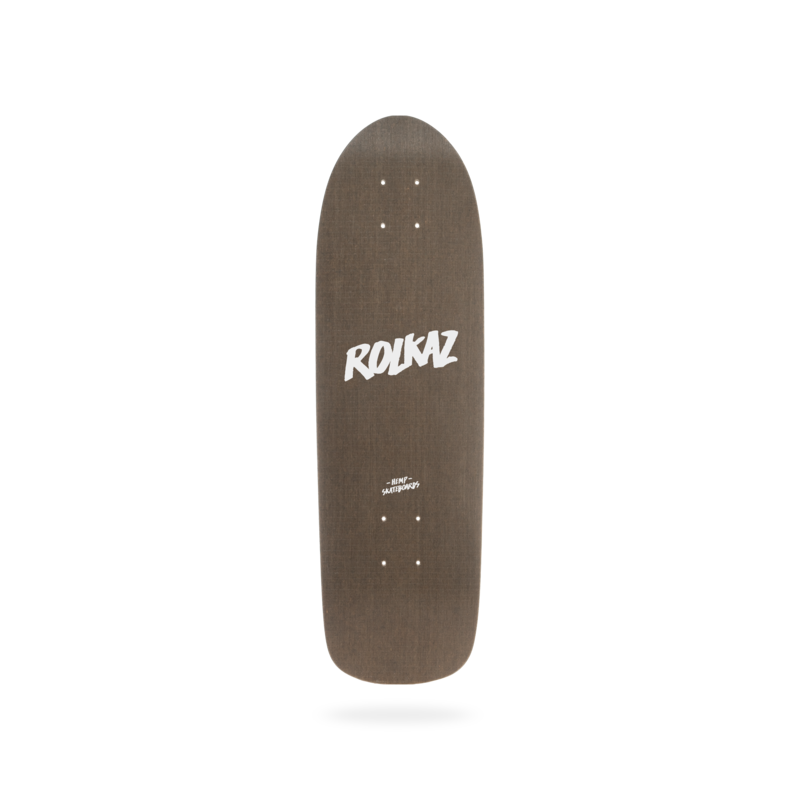 Rolkaz hemp skateboard decks are made in the EU with locally sourced materials. We chose materials and processes that are the best in the industry from the environmental perspective.